The Proficlear Premium Compact is a scaled down version of the modular filter system with all the same benefits. Featuring a unique automated mechanical drum filter combined with moving bed technology. This pump fed filter has 2 designated sections in the filter. The first is the moving bed system, using Hel X 13 Bio Media instead of filter foams. This gives an increased surface area for the benefical bacteria to effectively break down the pollutants and bad bacteria. An adjacent moving drum has large surface extraction sieves, pulling the larger debris out. This is then washed away by a 4 bar cleaning pressure pump at the top of the drum, that uses pond water to flush the debris through and out of the system. 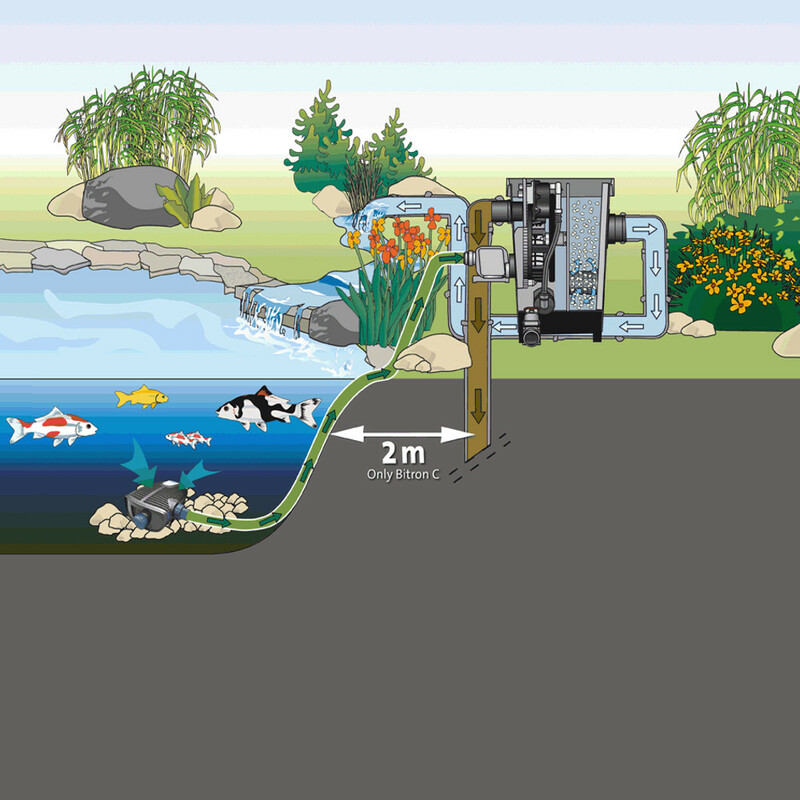 This contiunious movement in both filter sections reduces algae growth by preventing chances for the algae to form and grow. 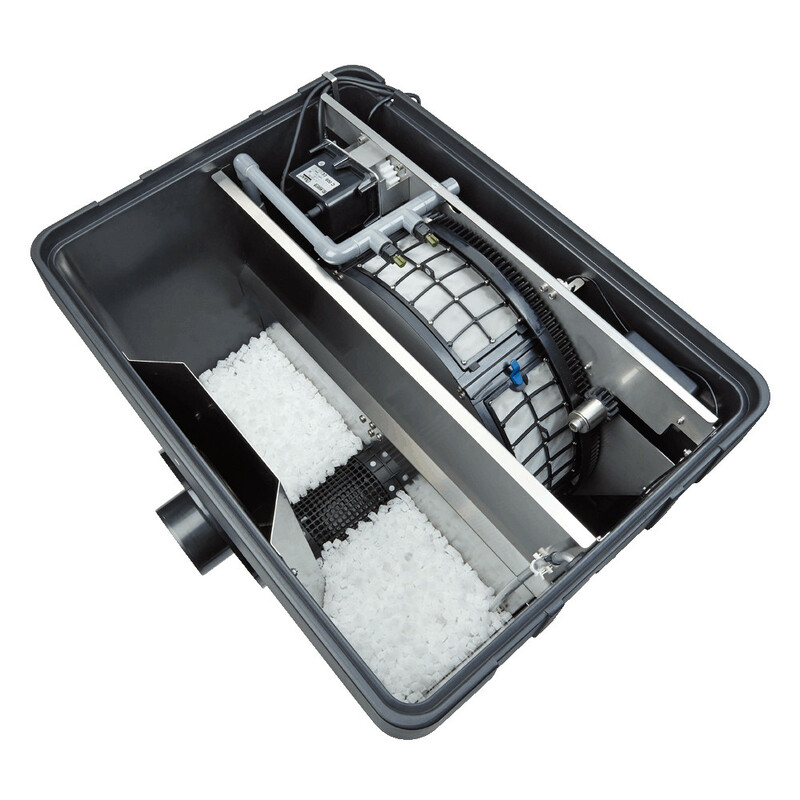 The Proficlear Compact system is an easy to maintain filter with removable drum sieves, the constant automatic cleaning of the bio media in motion and the 4 bar cleaning of the drum under high pressure. 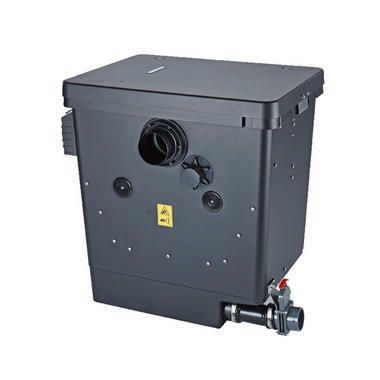 The filter also has the added benefit of a water level control to prevent over flowing.